Shopping last minute can cause you a lot of stress, Stores are busy and a lot of the items you may want are sold out, but don't worry here are some last minute shopping ideas/tips that will save you from stress. 1. Do your online shopping TODAY. If it’s important to you that people on your gift list have actual items in their hands by Dec. 25, then today’s the day to start clicking. Many online retailers promise to deliver presents by Christmas Day if you place your order by Dec. 20 using two-day shipping. Some lenient retailers will continue to guarantee on-time delivery if you use overnight shipping by noon Pacific time on Dec. 22. You can quickly check the shipping sections of stores’ Web sites to find out which deadlines you’ll have to hit. 2. Send electronic gift certificates or gift cards. Another option is an online gift certificate that gets sent out via e-mail. Many retailers offer them, and their convenience to you is unparalleled – so long as you feel reasonably comfortable that your recipient won’t mistake your electronic gift for spam. Some retailers allow the certificates to be used only on their Web sites, not in their stores, so make sure the person on the receiving end is comfortable shopping online. You’ll often have until around noon on Dec. 24 to order the e-gift cards and guarantee their timely arrival. 3. Buy tangible, plastic gift cards. Everybody from the drugstore to the electronics store to the coffee shop is offering gift cards these days, so you have plenty of opportunities to look thoughtful by tailoring your gift-card purchases to certain individuals. Just be sure to read the fine print before you buy. Some cards have onerous expiration dates and fees, particularly those bearing the logos of major credit card companies. Fees have become less common with gift cards sold by specific retailers, though. If you’re not comfortable just handing over a card, wrap it inside a mug or put it in the arms of a small stuffed animal. 4. Shop on Dec. 24. 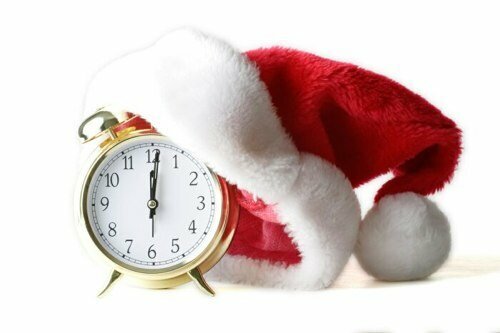 Most non-procrastinating types relax on Christmas Eve day – meaning traffic at the malls should be thinner then. Of course, this approach only will work for presents you can give in person locally, not for gifts that need to be mailed. 5. Think food and drinks. Consider “splurges” that your loved ones might not get for themselves – and that also won’t require you to step foot into a crowded mall. Some ideas: nice bottles of booze and liqueur; a case of wine; caviar; prosciutto; gourmet cheeses; fine chocolate; premium olive oils; hard-to-find hot sauces. 7.) Save on speedy mailing. The Priority Mail service offered by the U.S. Postal Service delivers packages in the United States within two to three days for less money than major delivery companies. The flat rates for packages weighing up to 70 pounds are $4.05 for an envelope and $8.10 for a box. To take advantage of this deal, though, it’s best to head to the post office today so your package will arrive by Saturday, Dec. 23.